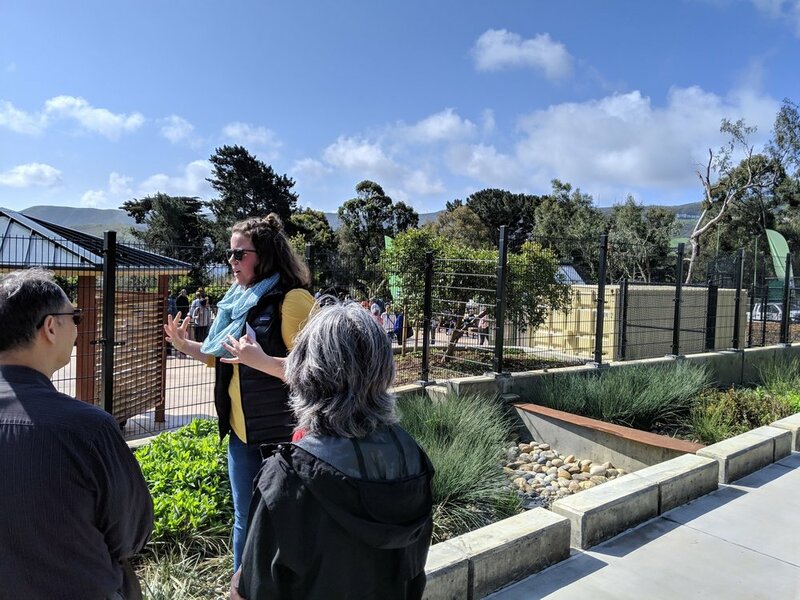 Under sunny skies, community members and local officials gathered Saturday to celebrate the reopening of the newly spruced up McLaren Community Garden, which features a series of rain gardens designed by Lotus as part of the SFPUC’s Visitacion Valley Green Nodes project. 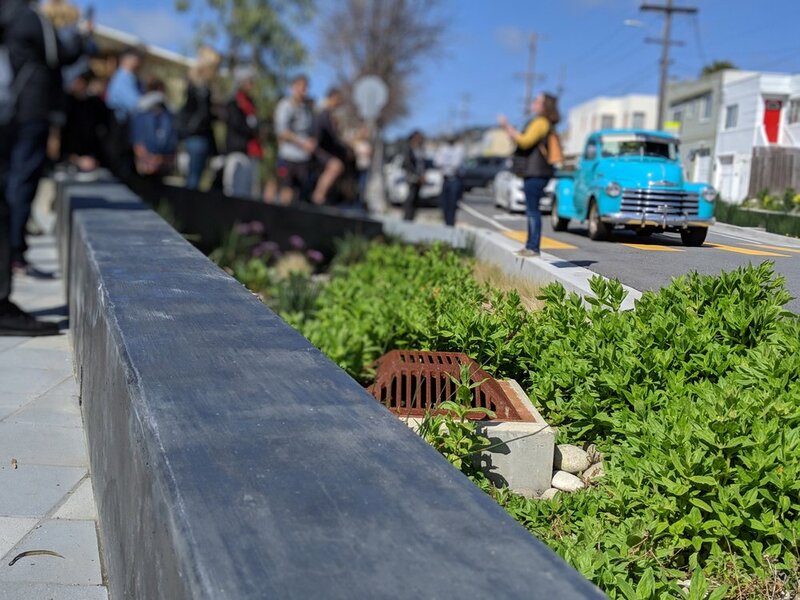 The new green infrastructure will manage 800,000 gallons of stormwater each year from approximately 1.5 acres of impervious surface, while providing a pedestrian and habitat connection to McLaren Park from Leland Avenue. 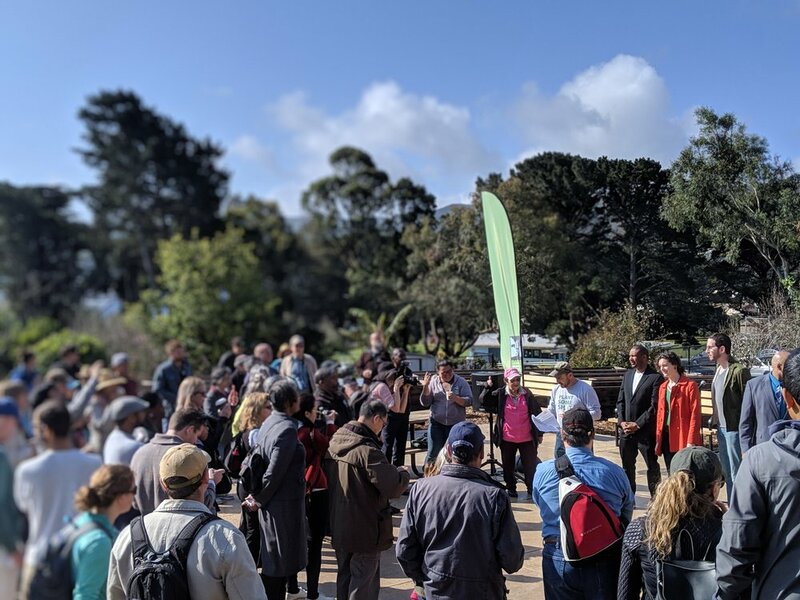 “I am thrilled to see the community and environmental improvement projects at McLaren Park,” said Senator Scott Wiener (D-San Francisco). “We are lucky this year to have gotten so much rain, but that’s not always the case. The new rain garden will help us to reuse hundreds of thousands of gallons of rainwater each year. We need more projects like these that bring benefits to local communities while helping advance our broader environmental goals.” The ribbon-cutting ceremony was followed by community yoga, gardening activities, and a walking tour of the rain gardens where community members were able to see the bioretention areas in action after the rainy week. 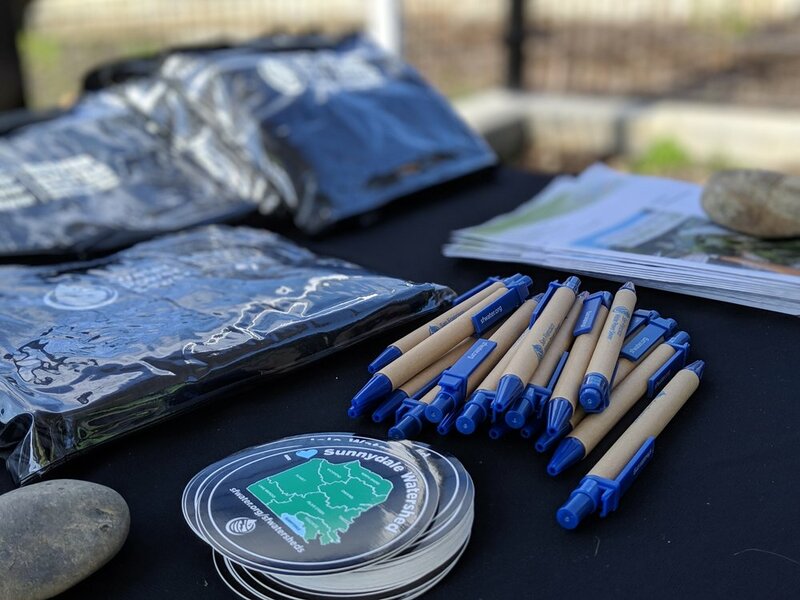 Attendees also learned about how the City is implementing green infrastructure through capital projects, programs, and grants to sustainably manage stormwater. 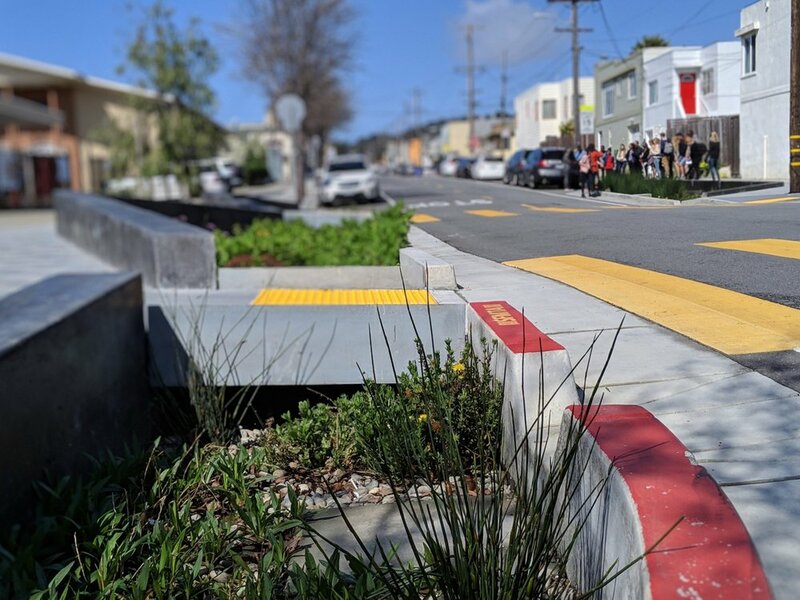 Read more about the Visitacion Valley Green Nodes here!